The Osprey Lake area has an excellent, extensive network of maintained trails around Osprey, Link and Chain Lakes. The network stretches north to Elkart Lodge and south to Stemwinder, west to Tulameen, and east to Summerland. 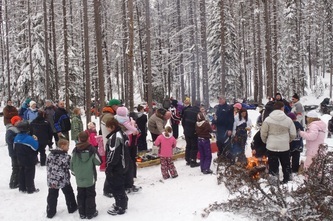 Most trails can be enjoyed in the winter on snowmobiles and in the summer on ATV's. Most of these trails are multi-use - for motorized vehicles, horses, walkers, and bicycles. We encourage responsible use of these areas - keep noise and dust down around others - especially other users of the KVR. 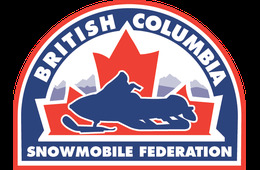 Snowmobile Club Membership includes the option of purchasing discounted liability insurance - click on the 'Join Now' button above to join. Since the fall of 2015, the Osprey Snowheelers Club is operating as a Snowmobile Club only. 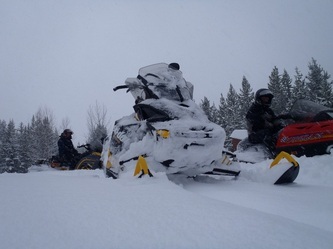 For those interested in ATV membership, please contact the Similkameen Valley Riders ATV Club - click on this link to their web page, or contact ATV/BC directly for membership. Liability insurance for events including directors and officers is provided by the BCSF.